The Sun and Venus transit your 9th House of overseas travel, people from overseas, travel, higher learning, publishing, legalities, advertising, promotion, idealism and highlights your world views and focuses in your spiritual views, Pisces. Venus (Love, money and all things harmonious) begins the month in your 9th House of your worldview, bringing about a greater closeness and/or commitment to an ongoing romance. 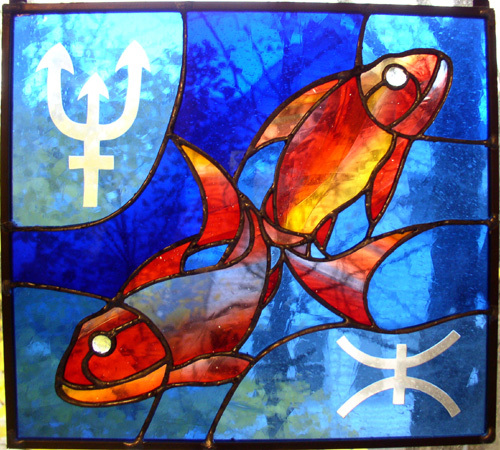 Single Pisces can expect to meet a new love interest throughout Venus in Scorpio while Couples may decide to make radical changes in their relationship. A marriage or commitment may involve making a change in location, via a child, a marriage or possibly an overseas love affair could be involved. A desire to make a few adjustments to your love life overtakes you this month with both Venus, The Sun and Mercury in your 9th House of exotic destinations. On 11/16, Venus will exit Scorpio and enter your 10th House of career, your public persona and dealings with superiors. These areas will show serious signs of progress during Venus in your 10th House, Pisces. You will be the recipient of more offers to land business deals and you might find this transit extends to your personal life as well. It's all about career praise during this time, Pisces. Realize that with success comes people who might be jealous or envious. This is a month to ignore the naysayers/haters and do your own thing, Pisces. If you work in the arts, you can really expect to shine in public in some way, shape or form this month. Expect females to be helpful to you and present you with offers that are lucrative, durable and appealing.